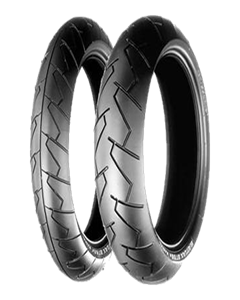 Excellent balance of grip, handling, wet performance, high speed stability, riding comfort and anti-shimmy performance. Solid braking performance and cornering stability, combined with superb shock absorption. Optimum balance for delicate, precise circuit handling, allowing extreme lean angles, quick turns, easy-line tracing, and smooth shifts.